Cook 1 lb campanelle pasta as directed on package. Meanwhile, heat oven to 350°F. Spray 13x9-inch (3-quart) baking dish with cooking spray. 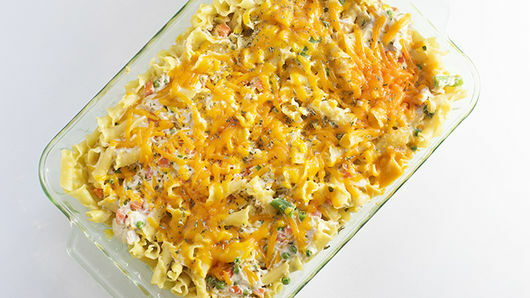 In large bowl, mix 2 cups diced cooked chicken, 1 bag (12 oz) frozen mixed vegetables, 1 can (10 oz) condensed Cheddar cheese soup, 1 container (8 oz) sour cream, 1 cup shredded Cheddar cheese (4 oz), 1 teaspoon garlic powder, 1/2 teaspoon salt and 1/2 teaspoon pepper. 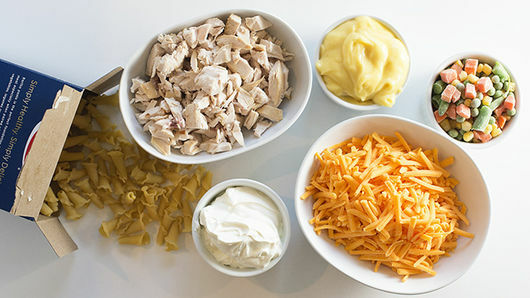 When pasta is cooked, drain and mix with chicken mixture. 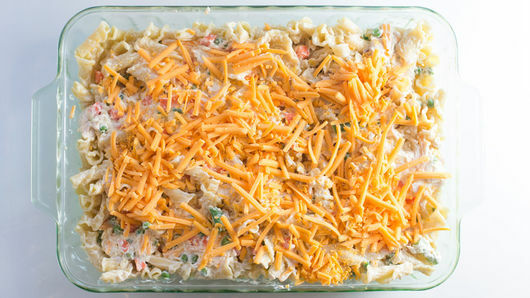 Pour into baking dish; top with 1 cup shredded Cheddar cheese (4 oz). 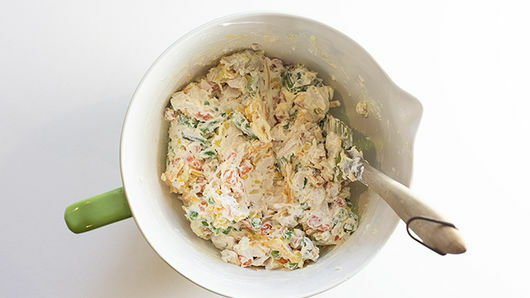 Bake 20 minutes. Sprinkle with 1 tablespoon dried parsley flakes just before serving. 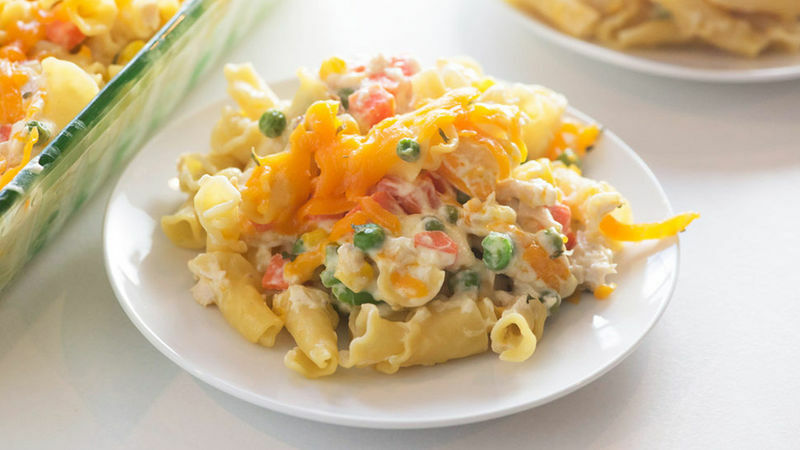 Use any type of frozen vegetables your family prefers.